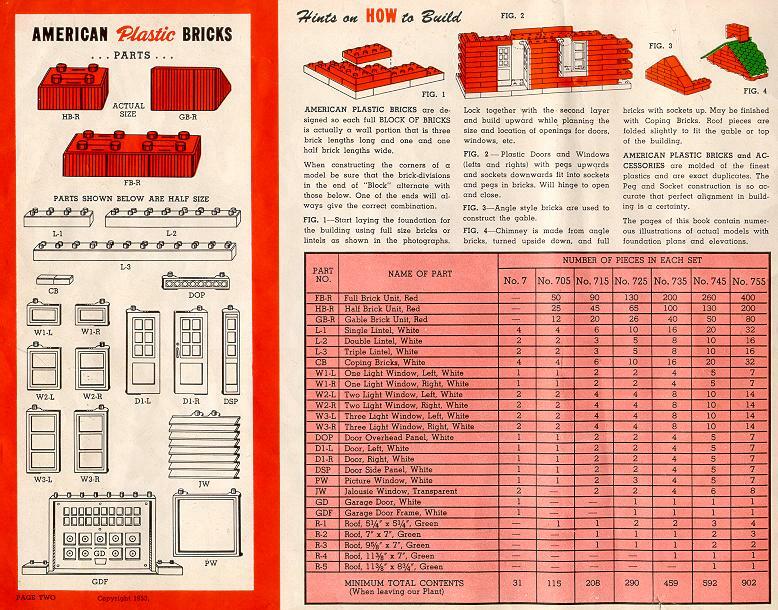 American Plastic Bricks were a toy creation from the 1960's consisting of interlocking uniformly-sized red and white plastic brick pieces. Each piece had sockets inside and studs on top that allowed it to be assembled with other pieces. Accessories included operating white plastic windows and doors and green cardboard roof panels. Sets of various sizes were sold, many in colorful cardboard cylinders with metal lids. 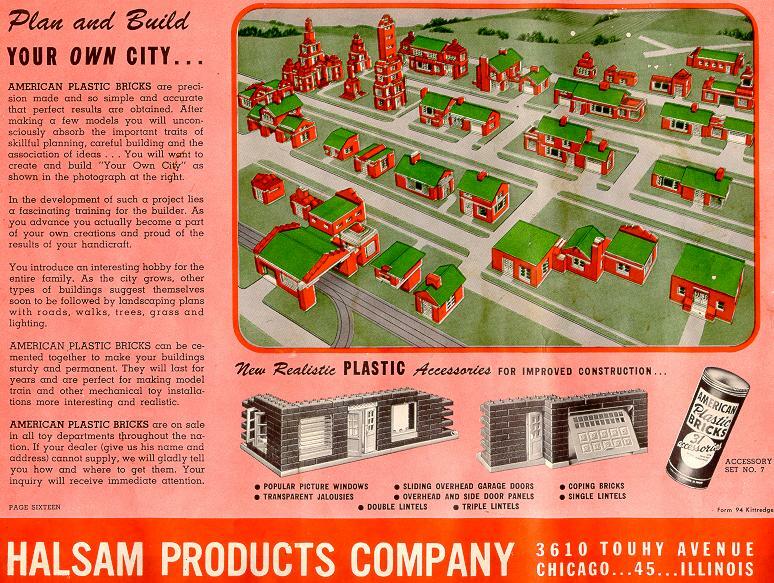 The toy was first manufactured by Elgo Plastics Company and later by Halsam Products, both of Chicago. A green Army Bricks variant was subsequently introduced by Halsam. Ultimately, the company and its American Plastic Bricks product line was purchased by Playskool, which re-released the product with more colors. These toys were later eclipsed by more modern plastic creations such as Lego. 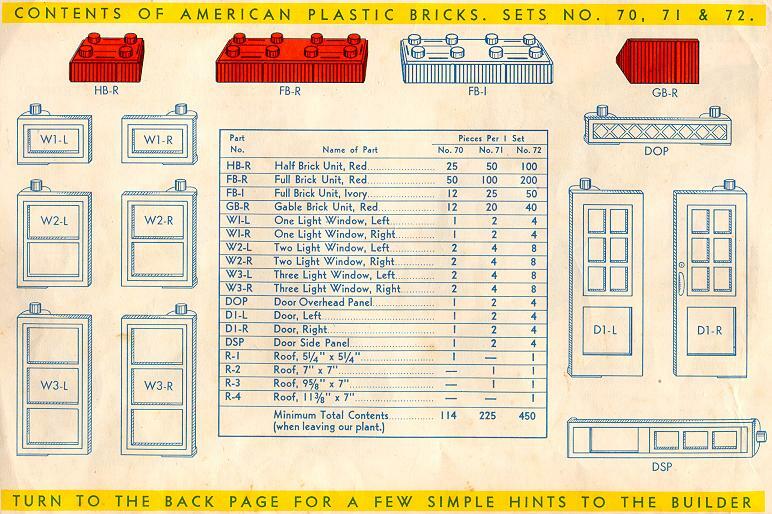 The original American Plastic Bricks have not been manufactured since the 1960's. 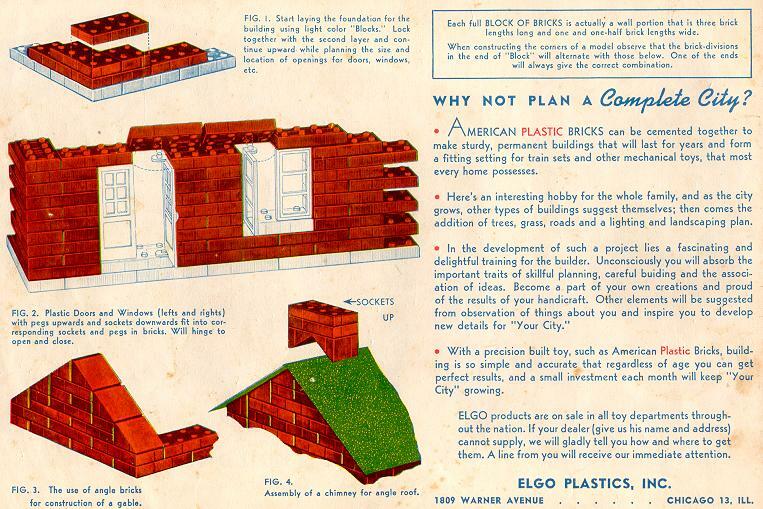 The American Plastic Brick gallery includes construction diagrams of individual designs from both Elgo and Halsam instruction booklets. Some duplications exist between the old and new instruction booklets, so images from both booklets are included where applicable. The designs from the instruction booklets gradually increase in complexity and number of parts used. The gallery begins with a few original designs.